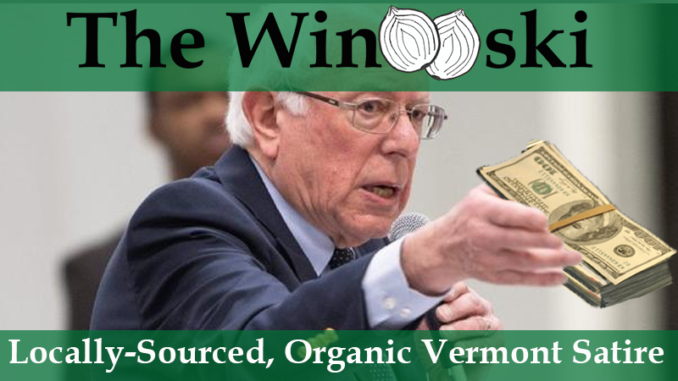 BURLINGTON – Reports have come in that US Senator and presidential hopeful Bernie Sanders has received a larger than usual tax refund and is attempting to give the money back to government. Staffers were heard making phone calls to the IRS, asking where the office of unwanted refunds could be found. Sanders’ initial plan was to just not cash the refund check, but the IRS direct deposited the money into his bank account, and he has so far been unable to get rid of the damaging funds.